Shamrock is a clover-like plant with three leaves. Although it is green and leafy it looks like a flower, because of its cute shape. 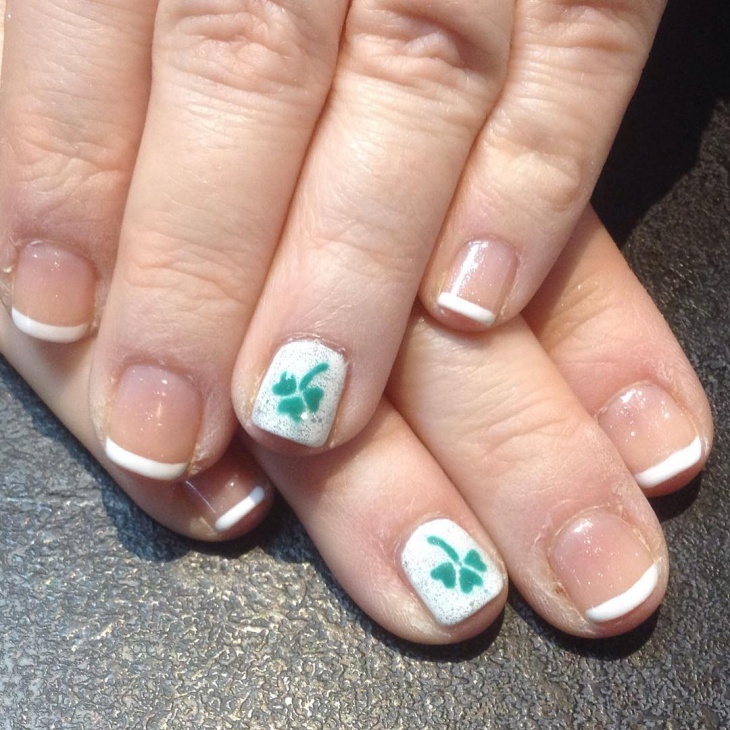 The shamrock design is gaining huge popularity with its delicate and pretty appearance. 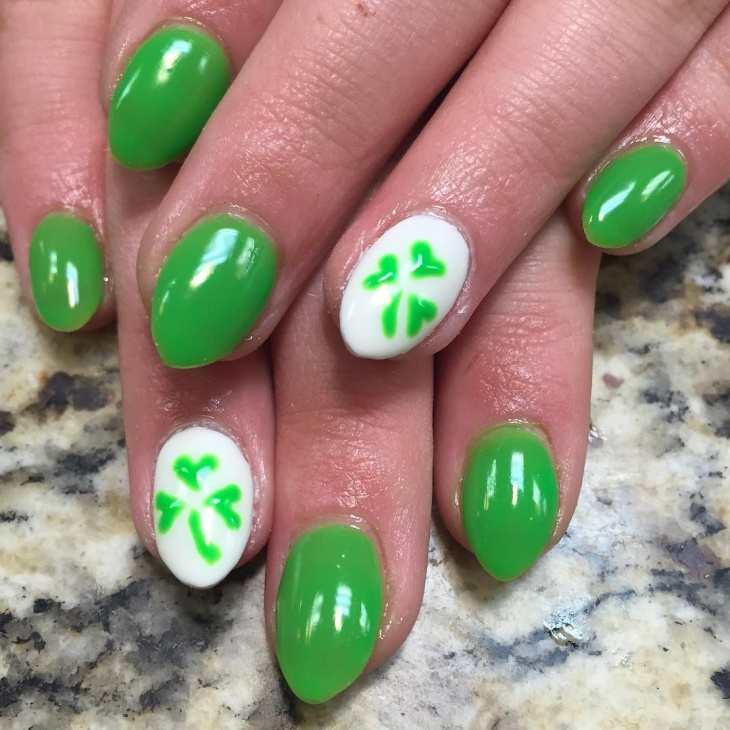 Although the design has been included in a lot of fabric and materials, today we are going to discuss shamrock nail art designs that have lately been trending and are favourite of many girls. 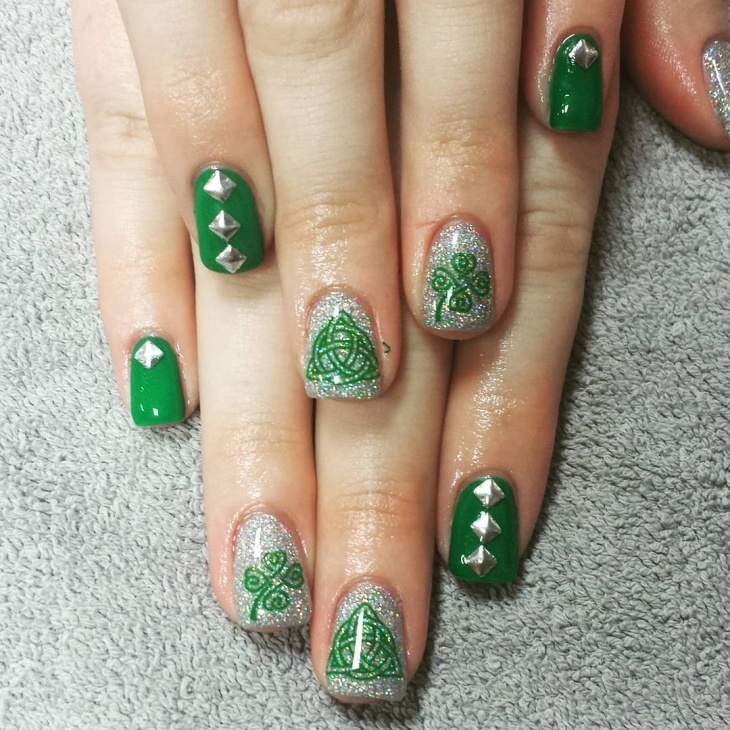 This green and silver shamrock nail art will add the perfect shimmer to any outfit in a party. Whether you opt for a matt or shimmery green, the design will look equally good on both the shades. The standard colour for shamrock is green, but you can compliment it with any colour of your choice. 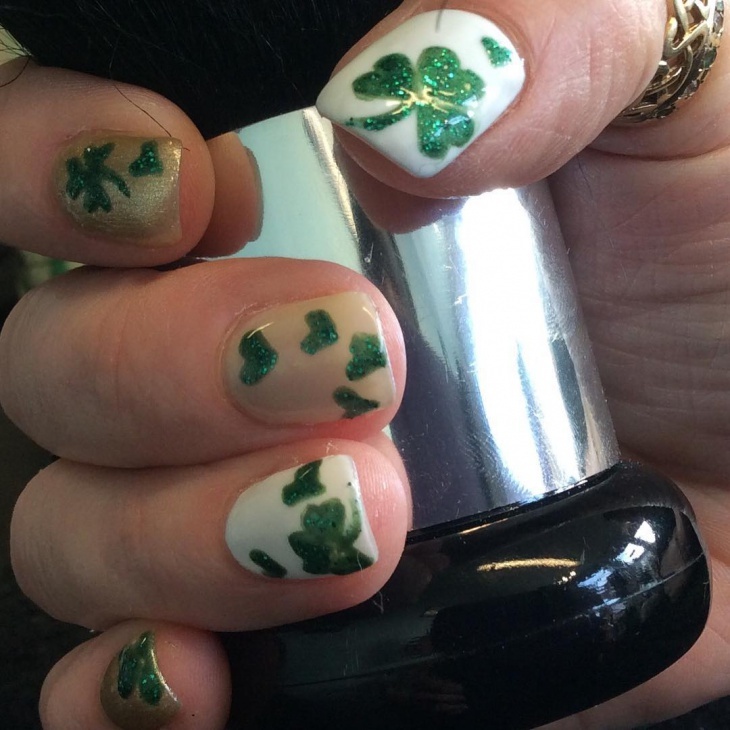 If you don’t wish to go the extra mile for creating a nail art, you can choose to have a simple shamrock print. Paint the leafy flower in just one finger of each hand and choose a simple standard paint for all the remaining fingers. This design will just take 5 minutes of your time and will look pretty and cute. 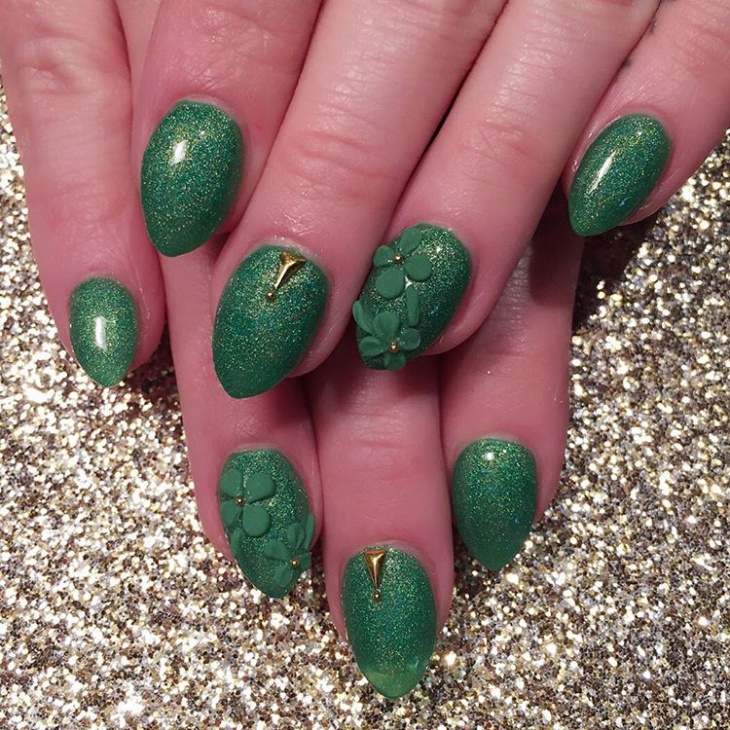 If you wish to go for a complete green look, this green glitter clove nail art will be a perfect match. 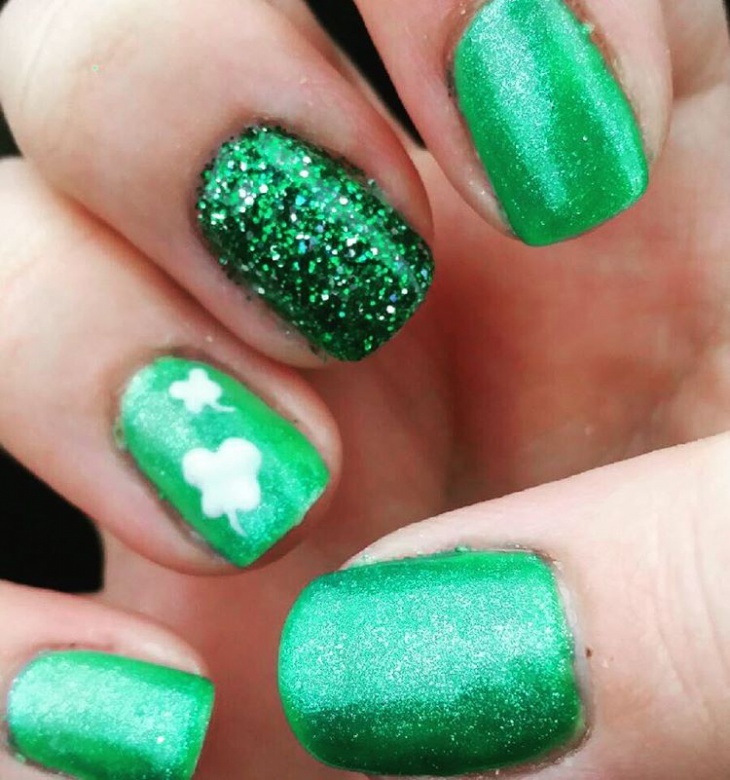 Add the bright shimmery green to your nails and accessorise them with green nail flower for a unique and attractive look. 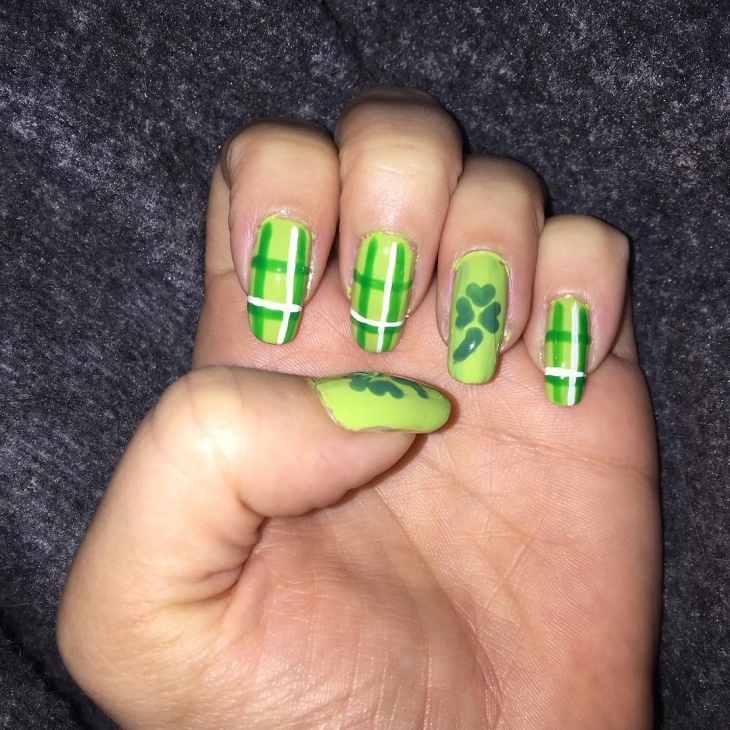 For a plaid shamrock nail art, choose a set of three colours that complement each other well and create vertical and horizontal lines on your nail. 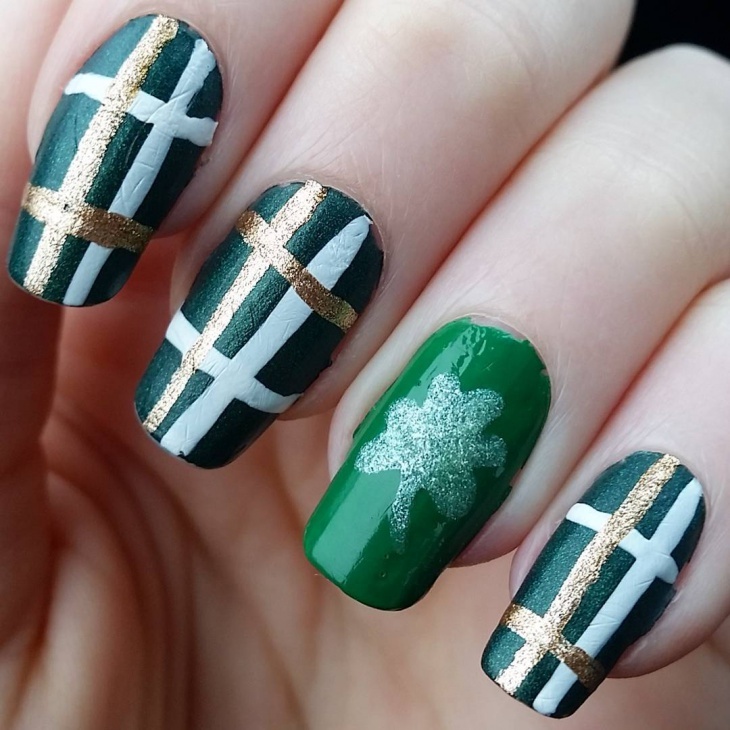 You can do it freehand or with the nail tools for a more defined and sharp look. 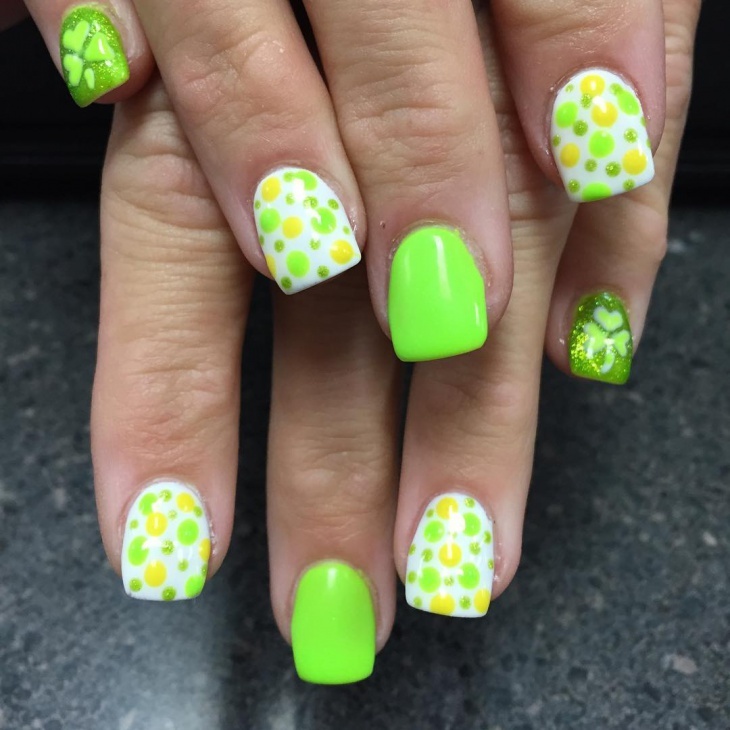 Add the clove flower in one fingernail for giving a nice contrast to your nail design. 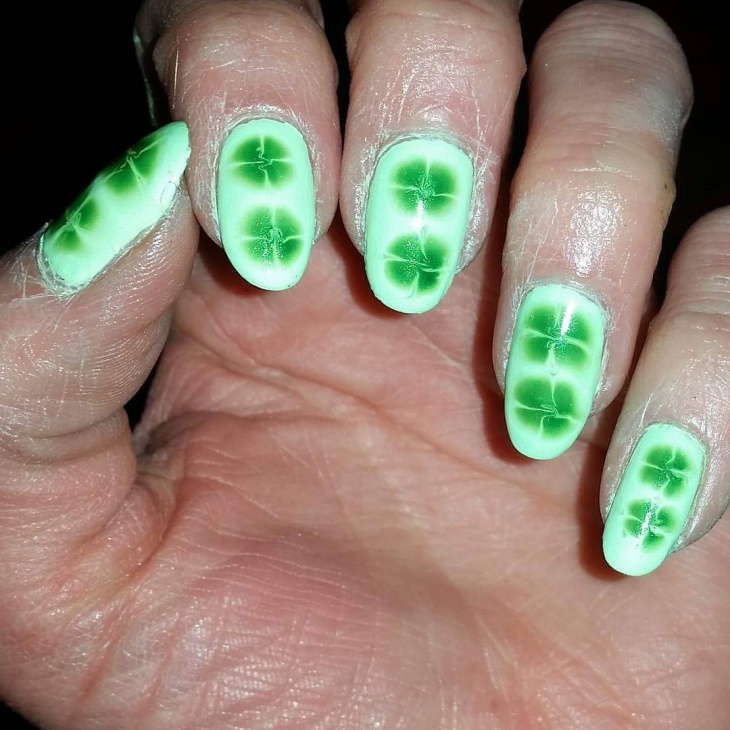 If we have to select the one from the lot, we would definitely suggest you this shamrock checkered nailart. One of the most elegant, it can be easily tried on your nails. Choose three set of colours just like the plaid nail art the only difference being choose one shade with shimmer. 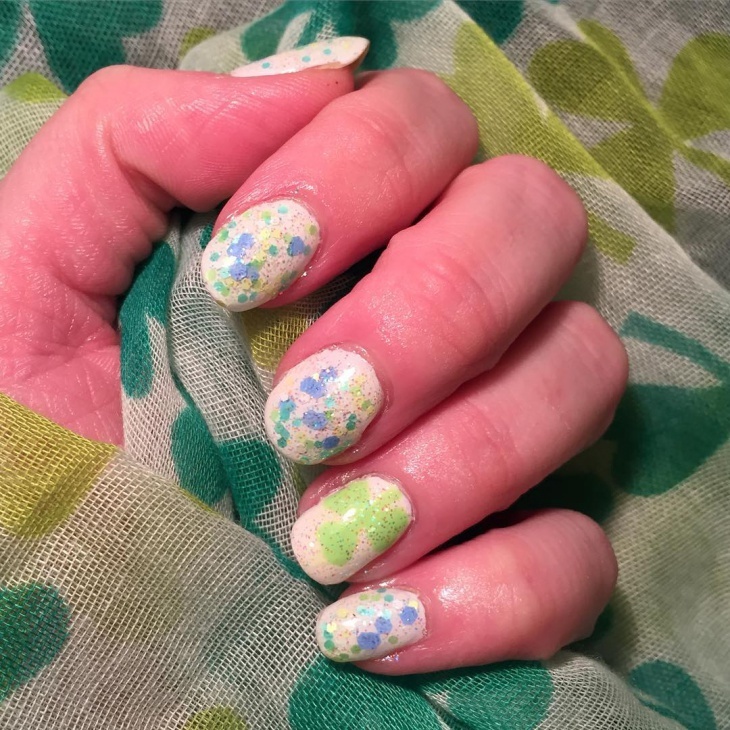 After painting one nail with the shimmer nail paint and the others with standard green, leave one nail for the actual design. The design might look diffuclt but is very simple to achieve. Just make diagonal lines on the base coat and create the small flowers in the beggining and end of the nail. 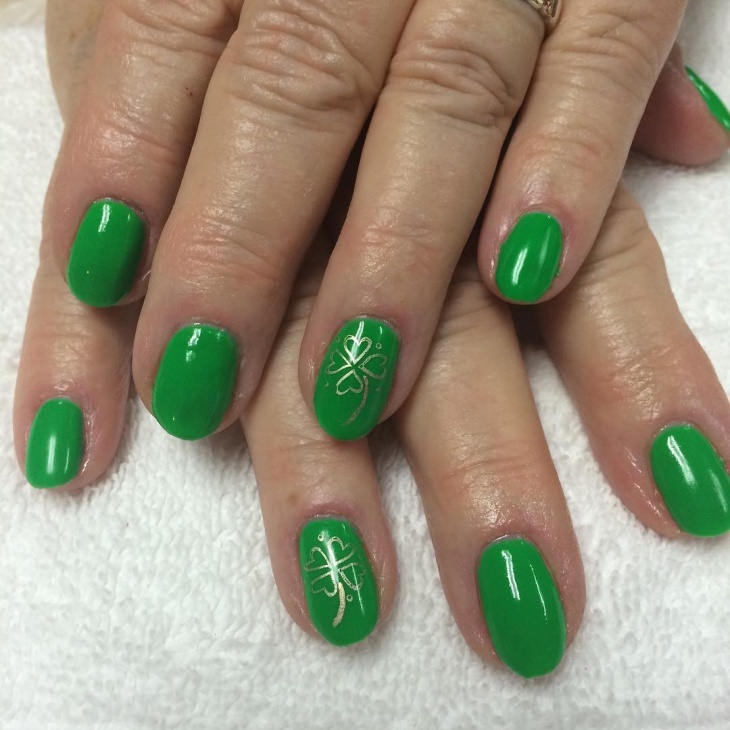 The design turns out beautifully in any shape or size of nails. 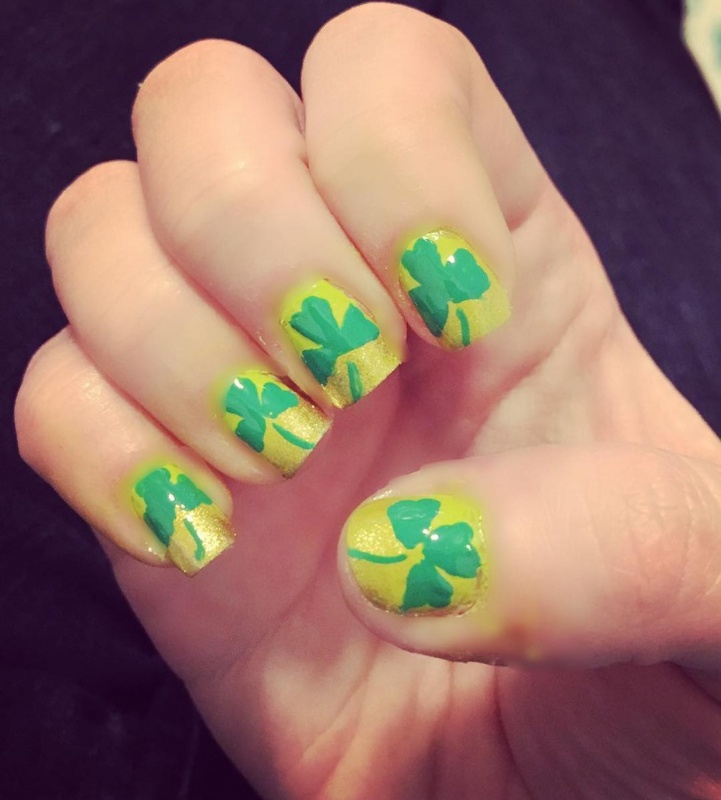 Another shamrock design to try would be painting the nails green and decorating the thin golden flower on one of the nails. The design is minimal and can be easily carried on any outfit. 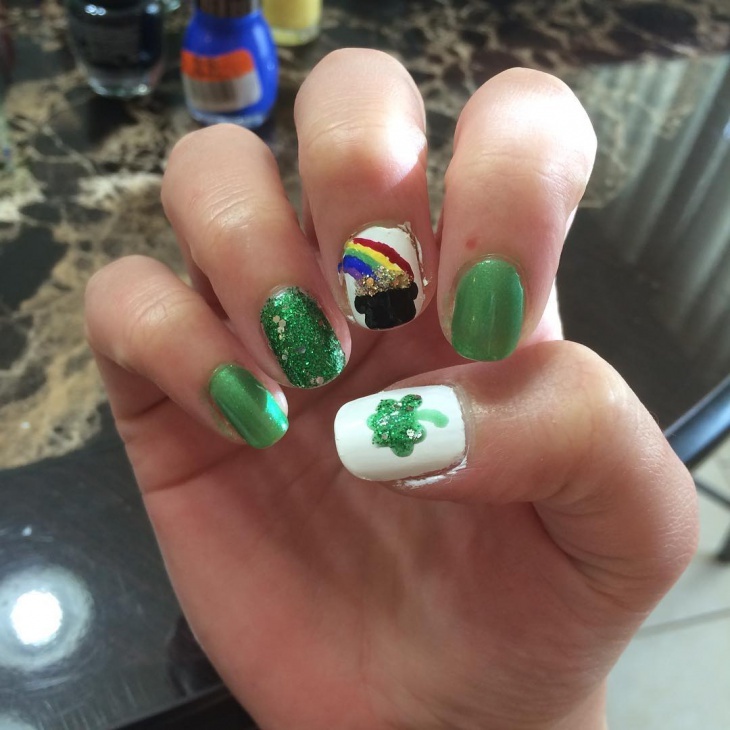 Adding horizontal stripes is another way to go about the shamrock nail art. 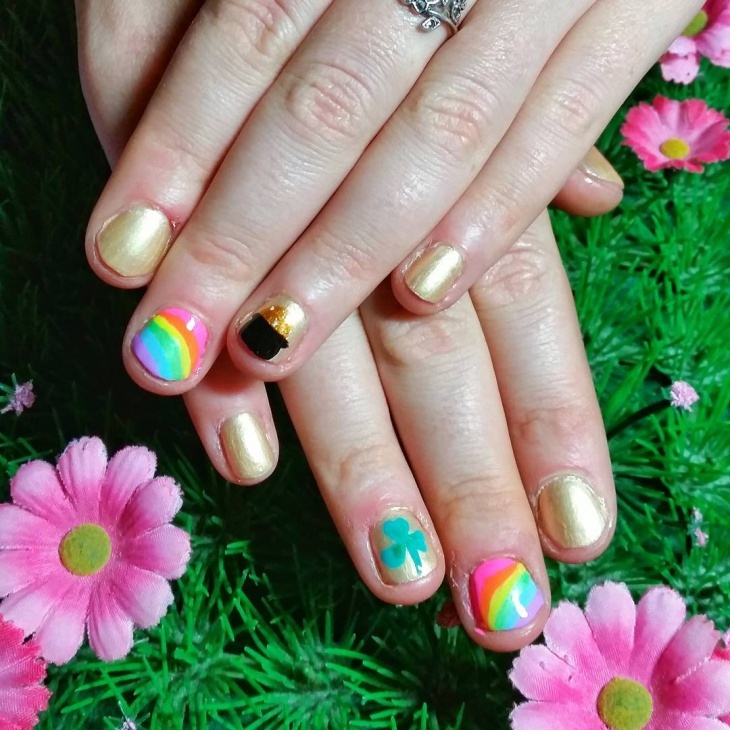 Contrast the stripes with two shades, a neutral base coat, and a green flower, and you will be done with the nail design in a matter of few minutes. This time, instead of green you can choose to include the clove flower in the colour black. 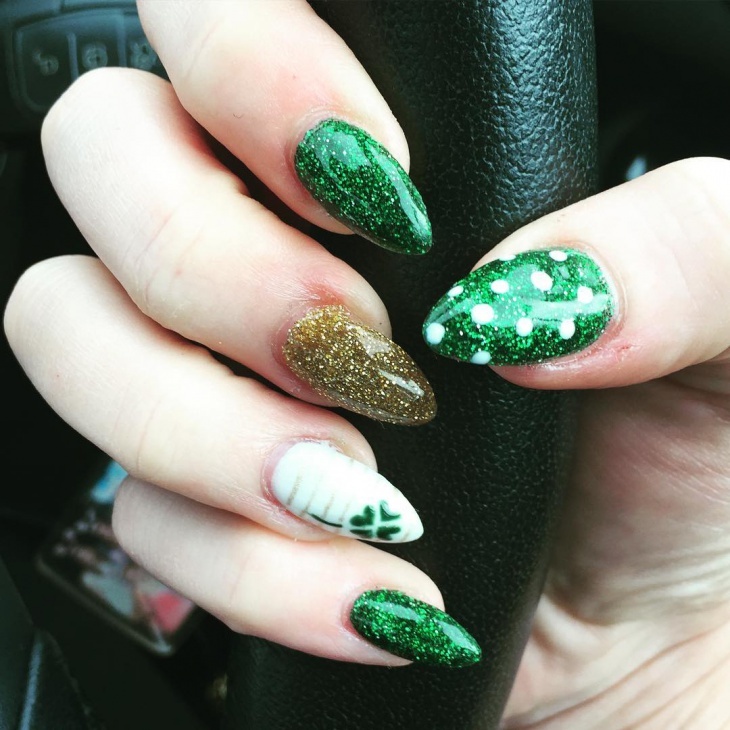 You can include the leafy flower one just one nail and it will still match well with the nail designs on the other nails. 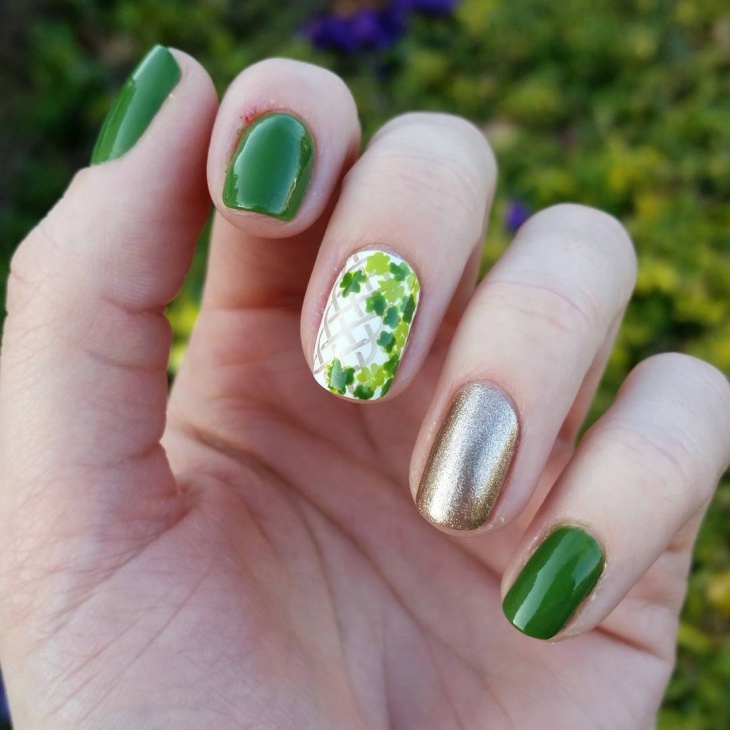 If you love the look of shimmer, make your clove leafy flower shimmery too. You can even do a quick polka dot nail art for adding a matt contrast to all this shimmer. 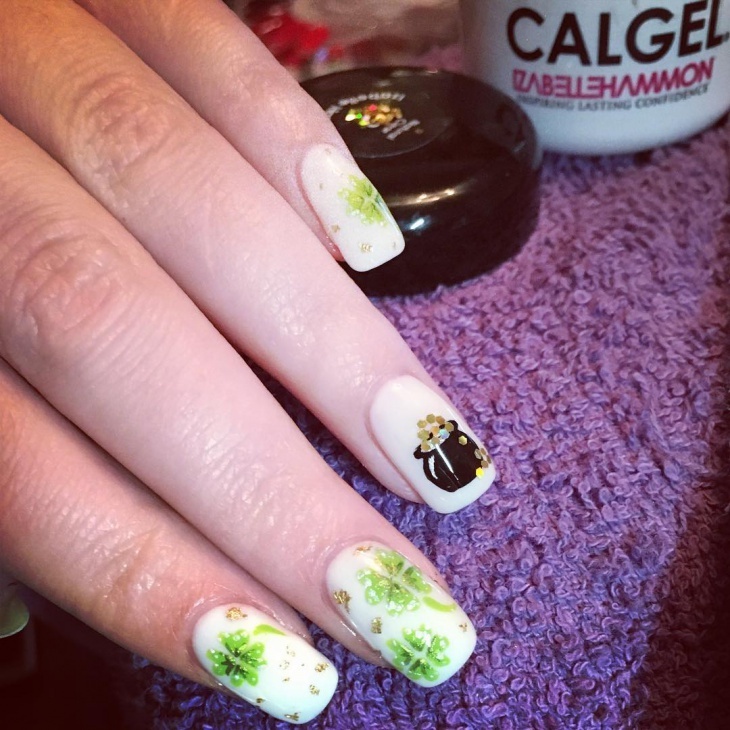 Include the leafy flower as a stamp on every nail. Make it as big as you like with any colour of your choice. The look of the flower is girly, delicate and pretty easy to achieve. The colour green has always been close to all of us. 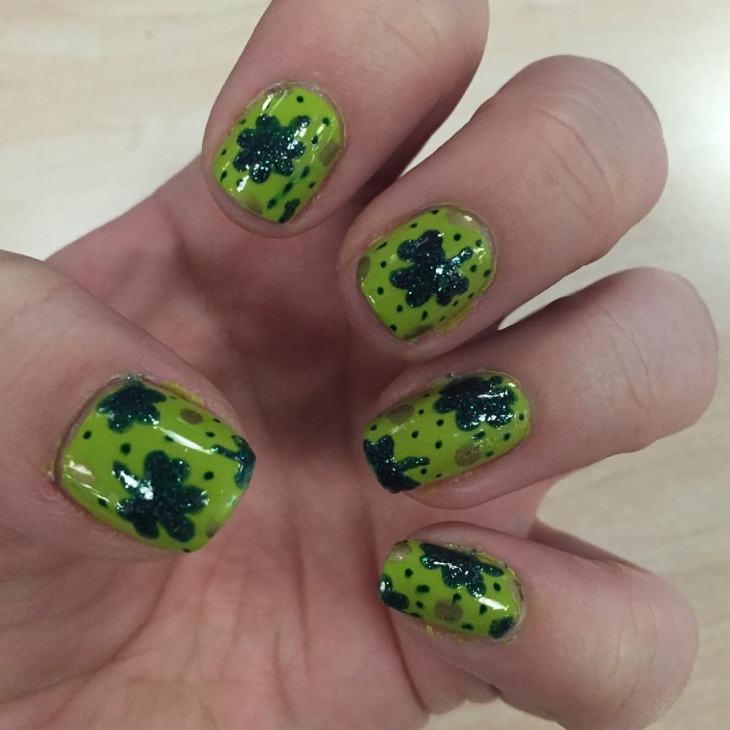 Shamrock design with its connect to nature is one of the unconventional flowers to try for your nail art designs. 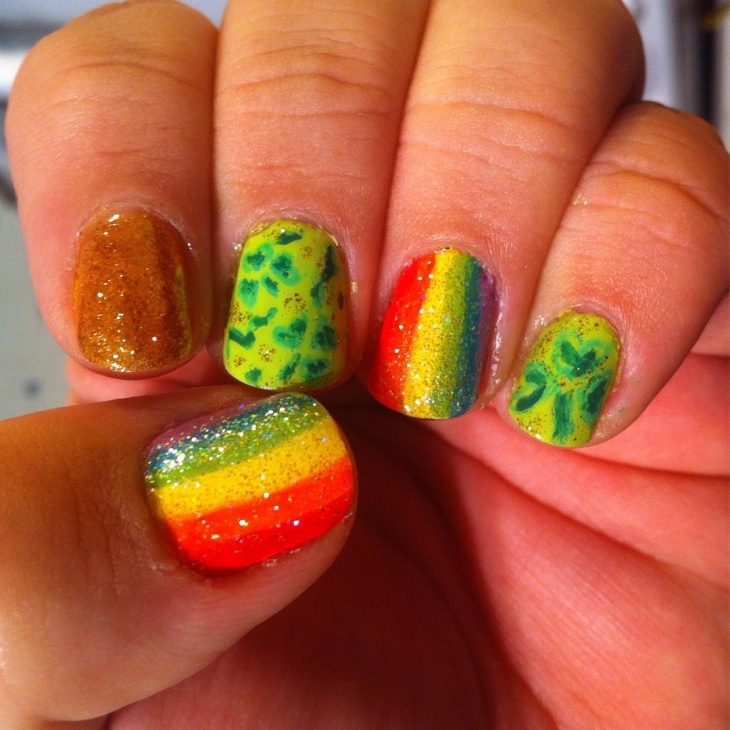 It is easy to make and you certainly don’t need a professional’s help to create the design on your nail.